1400 Calorie diet menu is my favorite because it fits majority of young women who want to be slim and fit. I used this healthy diet menu plan to lose weight myself and thought it worked really well. Before you choose this 1400 calorie menu, make sure it meets your dietary needs. Simply visit my free calorie counter to determine how many calories you need. The following healthy diet menu is planned for a week, so you get 7 free 1400 calorie diet plans. 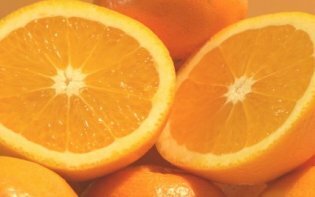 Breakfast – 1 whole grain toast, 1 tablespoon of jelly, 1 teaspoon of butter, 1 cup of tea or coffee, ½ cup of orange juice. Dinner – 5 oz of white fish, baked, broiled or grilled, 1 baked potato, ½ cup of cooked broccoli, mixed greens salad with oil and lemon juice, 1 whole grain roll. Lunch – 3 oz of fish, grilled or broiled, mixed greens salad with 1 tablespoon of olive oil and lemon juice, 1 apple, and few whole grain crackers. Lunch – 1 oz of sliced chicken or turkey breast, 1 teaspoon of mustard, 1 slices of whole wheat bread, 2 slices of tomato, 1 cup of sliced raw vegetables. Dinner – 1 ½ cup of pasta with 3 oz of cooked shrimp and 1 /2 cup of broccoli, 1 slice of Italian bread, 1 teaspoon of garlic olive oil, mixed greens salad with oil and vinegar. Snack – 1 cup of fruit salad, ½ cup of yogurt, 1 granola bar. Lunch – 2 oz of sliced turkey or chicken breast, 1 pita bread, 1 cup of sliced carrots and celery. Snack – 1 peach, 1 cup of yogurt. This is a well balanced healthy 1400 calorie diet menu so you can follow it for as long as you need!